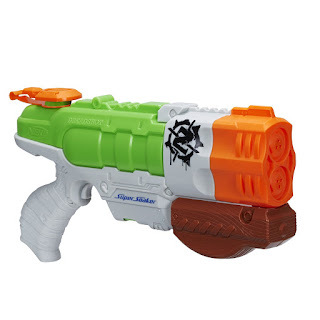 Right now you can get this Nerf Super Soaker Zombie Strike Dreadshot Blaster for ONLY $8.08 (Retail $19.99)! My son got this last year for his birthday and he loved it! Hurry over and check out this *BEST SELLER* Kitchen Active Spiral Slicer, ABS Plastic with Stainless Steel Japanese Blades, Black ONLY $9.97 (Retail $19.99). -FEATURES - The Kitchen Active® Slicer is molded using HIGH QUALITY ABS plastic for a lightweight feel, fitted with TOP-QUALITY STAINLESS STEEL Japanese blades for the sharpest and quickest slice of pasta. It fits in your hand, so it's easy to store. It's dishwasher safe for an easy clean. The plastic is BPA-FREE. And once the veggie you're spiral-slicing gets small enough, use the provided cap to MINIMIZE WASTAGE. In short - it's everything you could ask from a vegetable peeler. -IT'S ALSO A GREAT GIFT! Whether it's for a special occasion or just because, this Spiral Slicer is the perfect gift for anyone who spends a lot of time in the kitchen. From busy moms to college students to culinary artists, this product is a definite must-have for anyone who wants to get more veggies into their diet - in a quick and easy way. -YOUR SATISFACTION is our priority! Your Kitchen Active® Spiralizer also comes with a COMPLEMENTARY small CLEANING BRUSH to access hard-to-reach areas! 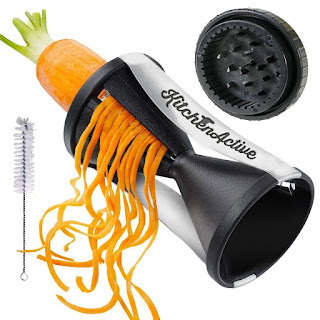 Premium Zucchini Spaghetti Maker - ADD TO CART Now! You'll LOVE IT! 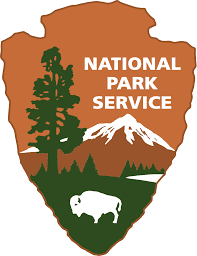 The FREE National Park Days are back this year and the first one is January 18th! Get FREE Park Admission in over 400 National Parks. 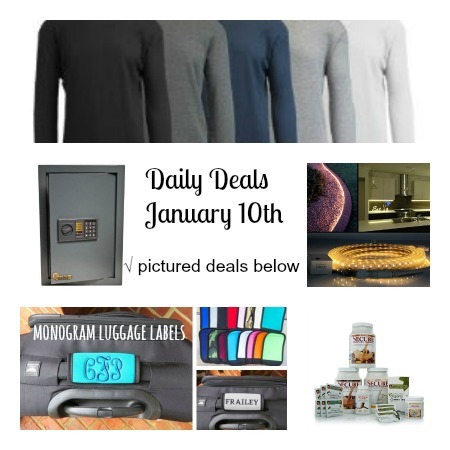 Hurry over and grab today's new coupons! Lots of savings available. Get your prints before they are gone! Save $2.00 on any ONE (1) GARNIER® Olia® Oil Powered Haircolor..Expires 2/6/2016.Save $2.00. Save $3.00 on ANY (1) MAYBELLINE® Lash Sensational® Mascara.Expires 2/6/2016.Save $3.00. Save $2.00 on ANY (1) MAYBELLINE® Volum' Express® Mascara.Expires 2/6/2016.Save $2.00. Save $1.00 on ANY (1) MAYBELLINE® NEW YORK FIT me!® Product.Expires 2/6/2016.Save $1.00. Save $1.00 on any ONE (1) GARNIER® FRUCTIS® Style Product.Expires 2/6/2016.Save $1.00. Save $2.00 on any ONE (1) GARNIER® Skincare Product (EXCLUDING TRIAL SIZE).Expires 2/6/2016.Save $2.00. Save $1.50 on ANY ONE (1) Excedrin® product 80ct. or larger.Expires 2/6/2016.Save $1.50. 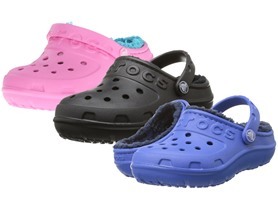 Hurry over and grab this great deal on Crocs Kids' Hilo Lined Clog for only $12.99 (Retail $34.99)! Sizes Available: 6 (Toddler) - 3 (Little Kid) See "Specs" tab for full size chart. I'm LOVING this deal! Hurry over and check out the Olive You! 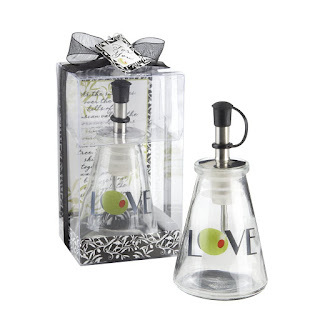 Glass LOVE Oil Bottle in Signature Tuscan Box for $3.49 (Retail $9.99) which is where I'll store my basamic and my oil. I just grabbed this when I ordered my spiralizer and coconut aminos! Hurry over and grab this Rubbermaid Variety Premier 20pc Basic Food Storage Set for ONLY $13.99 (Retail $29.99) before it disappears! 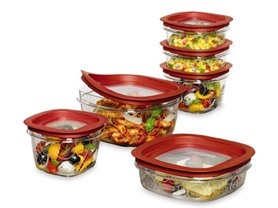 Rubbermaid Premier food storage container bases are made with Tritan plastic that resist stains and odors. Plus, Premier containers have Flex &amp; Seal lids that are easy to seal and remove. Part of the Easy Find Lids system, Premier lids snap to bases and other lids so you will not have to search for lids again and nest together to take up less room in your cabinets.